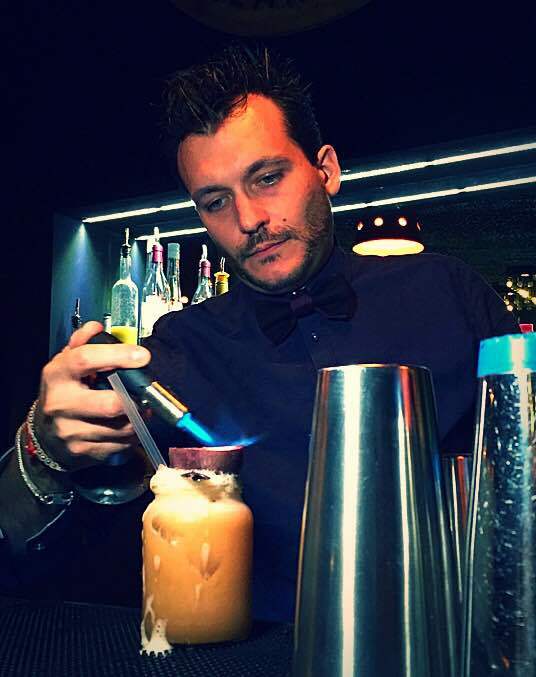 Alexandre, is head bartender at La Mezcaleria – Bar Clandestino in the 1K Hotel, Paris. He makes two cocktails for us, one with Mezcal and Agave, and the second with Tequila and Sotol Plata. My name is Alexandre Terwagne and I’m the head bartender at La Mezcaleria – Bar Clandestino and the other bars in the 1K Hotel, Paris. My Family has always worked in the hospitality industry and owned their own businesses, and that’s where I basically grew up. At 18, I began studying product design and in the evening I worked in a pub pouring beers until I became the head bartender and stopped my studies. I moved to Barcelona and worked as a waiter for a year before getting behind the bar of a 5 star hotel where I really began my cocktail career. I decided to train there for a year to increase my knowledge of spirits and mixology which would allow me to become a head bartender in a cocktail bar. I worked with a lot of South Americans, especially Mexicans who introduced me to their local spirits like mezcal. With the downturn in Spain, I decided to come back to France and worked in different bars before joining the 1K Hotel crew nearly 2 years ago. Here, the hotel managers import a lot of different brands of mezcal, including their own brand and wanted to open a bar based around the ingredients and spirits of a single country and in this case it’s Mexico. My bar would be in Barcelona, but use a lot of french products and our particular service style, because I found the bars in Spain the bars are english in their drinks and mentality. It would be a speakeasy using a lot of wood for the interior and focusing on the content of the glass, rather than the garnish. It would seat around 40 and have a capacity for 80. There would be two stations, with a short menu of 10 drinks and small tapas that’s easy to eat. The music would be a mix of latino and UK pop. I just want a simple place where people come to have a nice time. When I’m not at work, I like to stay at home with my family. I find my inspiration when I do my weekly shopping in the local market. Mezcal is amazing to work with in a cocktail, as each bottle is unique with it”s own flavour, alcohol level, smokiness, saltiness or herbal qualities, so it works differently with each cocktail. That’s why it’s so interesting. I think listening to your clients and delivering what they want in a drink and of course your knowledge of products to be able to execute the cocktail requested. I like spices because they gives a kick to the drink that liqueurs can’t. For instance, pepper from Jamaica which is not hot but very aromatic contrary to the long black peppers from Java which are very strong. Also, I always have a ginger cordial bottle behind my bar. In the end I am more into spices and herbs than fruits or juices. In Paris you should go to Tiger and ask for Stan, because I love gin and he knows how to use it as they are a gin bar. In Barcelona you should go to the Slow.